Last year, around this time, I shared my mother-in-law’s recipe for challah bread. Challah is wonderful braided bread that is traditionally served on Shabbat and holidays. 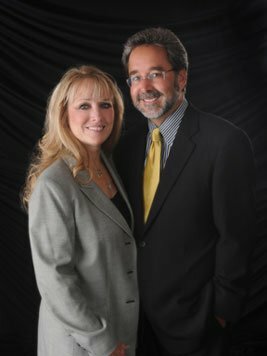 Since we are preparing for the holiday season, I thought I’d share it once again, as it is a favorite holiday food around the Marcellino household. There truly is nothing better than Hannah’s bread. 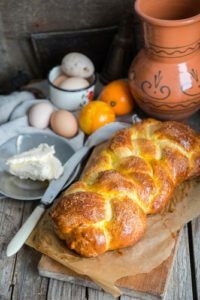 She makes an amazing challah, which is delicious right out of the oven, dipped in olive oil and herbs—warm soft, and slightly sweet! When Paul and I first got married, Hannah gave this recipe to me as a precious gift. Now, as we are just celebrating the birth of our first daughter, I am flooded with memories of all the wonderful things that have been passed on to me as a daughter, a granddaughter, and a daughter-in-law. I am so looking forward to continuing these time-honored traditions as my little family continues to grow and thrive. Preheat oven to 350 degrees. Mix yeast in water, add butter, honey and 1.5 cups flour, gently blend together and allow to sit for 15 minutes. Knead in salt and eggs and keep adding remaining flour until mixing bowl comes clean, or if kneading by hand, until the dough is no longer sticky. Divide dough in half and then divide halves into thirds. Take three balls of dough and roll into long strands to prepare for braiding challah (each strand should be roughly 1.5 inches in diameter). Line three strands up and tuck the ends together with a firm pinch—begin braid. Repeat with remaining dough. Mix egg yolk with 1 tablespoon water. 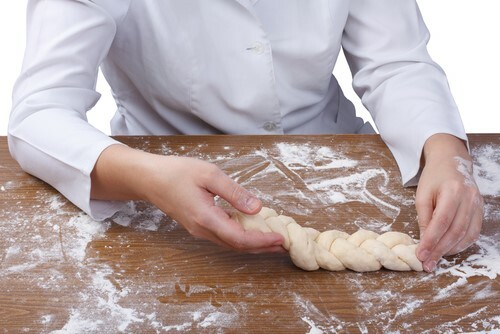 Once braid is complete brush dough with egg yolk/water mixture. Line 1 large cookie sheet, or 2 smaller sheets, with parchment paper or spray with cooking spray. Bake at 350 degrees for 25 minutes, or until lightly brown. Serve warm with a plate of extra virgin olive oil and dried herbs. Delicious! Now, there is one last thing that I should share about challah bread. Yes, it is delicious steaming hot from the oven. However. IT. IS. EVEN. BETTER. served as French toast. When you come from a large family like Paul does, often there are TONS of leftovers, including Challah bread. So one trick that might help you preserve that fantastic leftover loaf, is to make it into French toast the following morning. 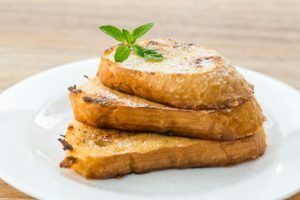 This recipe from Ina Garten is so melt-in-your-mouth fantastic, that a friend of ours, makes challah just so she can make French toast. Of course we recommend using My Olive Tree’s Extra Virgin Olive Oil in place of the vegetable oil—as it is a healthier option and provides a better quality taste. 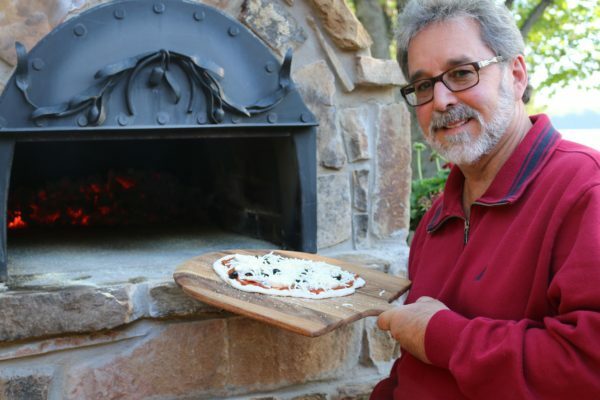 Check it out the recipe here…. P.S. If you have leftover French toast… Freeze each piece separately on a cookie sheet. Once frozen, place the pieces in individual sandwich baggies, stick them in the freezer, and VOILA! You’ve got ready to go French toast for any occasion!